School of Rock might be one of the most understated gems of this millennium because it was Jack Black’s coming out party that rocketed him and his band Tenacious D to superstardom. The 2003 smash hit was about a failed rock star conning his way into a substitute school teacher position and using his students to create a band to compete in a “battle of the bands” contest unbeknownst to their parents. And one of the stars of the smash hit just landed himself in a boatload of trouble. School of Rock surprised everyone when it hit theaters in 2003 by grossing over $81 million at the domestic box office and $131 million worldwide. Most people think of Jack Black as an A-list comedic actor but his musical talents supersede any acting ability he has. This was the movie that specifically showcased his talents. Tenacious D – only consisting of Jack Black and Kyle Gass – is one of the biggest rock bands in the world and it’s all thanks to that movie because it mainstreamed them in a way like Boyz in the Hood and Friday did for Ice Cube. In fact, Black was so good in his performance that it landed him a Golden Globe nomination and some even thought he would be up for an Academy Award for Best Actor for it but that never materialized. The movie was released over 15 years ago, which means the actors who portrayed those school kids are all grown up now. And one of the main school children“rock stars” of the group was just charged with four felonies. The actor who plays the guitarist in School of Rock, Joey Gaydos Jr., AKA “Zack-Attack,” is now facing four felony charges in Florida for grand larceny and theft. Gaydos allegedly began stealing guitars from prominent instrument stores and then selling them to pawn shops in the local area. In his court proceedings, Gaydos Jr. admitted to the police that the reason why he allegedly committed these acts was because he has a drug problem, while simultaneously entering into a not guilty plea. And this isn’t his first run-in with the law, Gaydos Jr. was arrested in Michigan for underage DUI in 2009 after he was reportedly trying to drive away from a Taco Bell while intoxicated. Despite the actor and musician’s upcoming criminal woes, School of Rock remains a cultural bedrock for introducing the importance of music to kids. 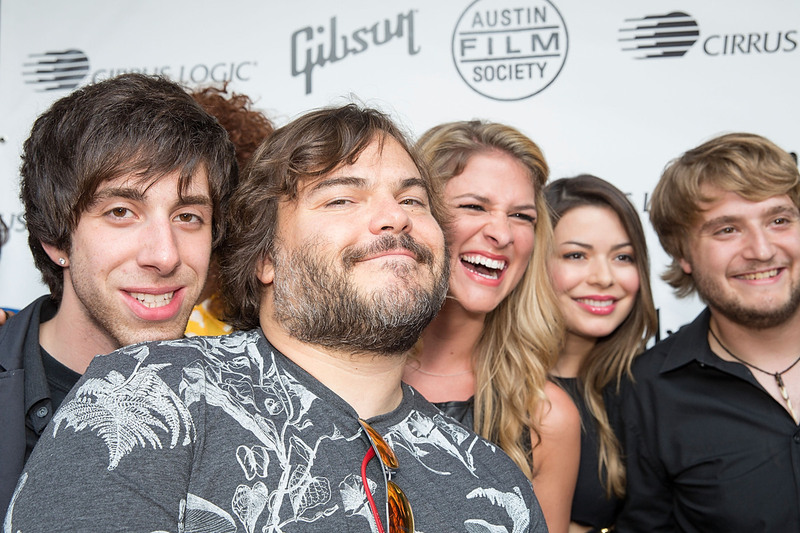 In 2013, the kids and Jack Black played a 10-year reunion of the classic song “It’s A Long Way To The Top If You Wanna Rock n’Roll,” by ACDC. The theme of School of Rock is that drawing out students’ talents, developing confidence and teamwork can all be learned through music. Black’s character finds the uniqueness in all of them and it’s done at the behest of an uptight strict learning system that doesn’t allow them to find their individuality. Also, Rock N’ Roll doesn’t need to be defined by the law breaking and drug consumption that surrounds it. Unfortunately for Gaydos Jr., he didn’t get the message.